In last week’s episode of Ron and Robert on Divorce, we heard the story of Helene Antel, a successful, powerful, ferocious district attorney who was the victim of domestic violence. It took her years, but she finally learned how to follow the very advice she routinely gave her clients. Once she learned how to do that, she was able to begin building a life of freedom for herself and her child. When asked what the turning point was that allowed her to start taking her own advice, she says it was when she achieved ambivalence. Missed the first two? Listen to Part 1 HERE and Part 2 HERE. Don’t miss another one! 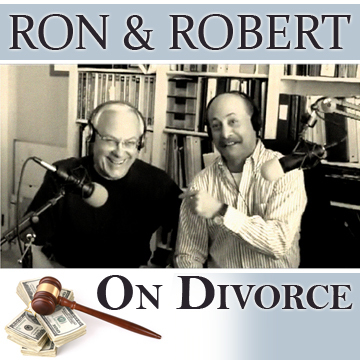 Subscribe to Ron and Robert on Divorce on iTunes and download free podcasts weekly. And that, dear friends, is the difference between distributive bargaining and collaborative negotiation. The gents go into more detail about distributive bargaining, and then they talk about how to divide a property that was owned prior to marriage, what happens if you file bankruptcy during divorce, and whether or not you should keep your house if you file for bankruptcy. Missed the first five parts of this series? Here’s Part 1, Part 2, Part 3, Part 4, and Part 5. Ron and Robert engage in a lively discussion with Randy Morrow, Certified Real Estate Divorce Specialist (CREDS), about why you’re better off hiring a specialist to help you sell your home during a divorce. They address common questions like: What is the distinction between a CREDS and your average realtor? How is a CREDS qualified to help couples going through a divorce? How does a CREDS protect your assets? Why might a CREDS choose not to help you sell your property? 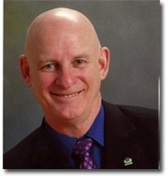 One of the things that distinguishes Randy from other realtors is that he does not represent one spouse or the other. He represents the divorcing couple, he offers complete transparency, and he has years of experience selling real estate and helping people in the middle of divorce. He knows how to help couples cope with their emotional agendas and he knows when to set boundaries. Listen to this week’s podcast and learn how you can protect your assets and your interests during divorce. Did you miss Randy’s first interview? Find it here. Don’t miss another one! Subscribe to our free weekly podcast, Ron and Robert on Divorce on iTunes. Last night’s seminar, A Woman’s Journey To Financial Independence, was a success. Thank you to those who attended and expressed their appreciation for the outstanding information. For those who were unable to attend, not to worry, we’re hosting another financial seminar on August 16th: Wine Tasting and Real Estate. In this new podcast featuring Irene Smith, who presented last night and is co-hosting Wine Tasting and Real Estate next month, she and the partners have a lively discussion about what spouses should know about finances before and during a divorce case. In addition, Irene explains to Ron and Robert the advantages to working with a Certified Divorce Financial Analyst, including how a CDFA will save you time and money. Click the play button to listen now. Listen to last week’s interview with Irene here. Subscribe to Ron and Robert on iTunes and get new podcasts weekly. In their best podcast yet, Ron and Robert speak with Randy Morrow, a veteran Realtor in the highly specialized field of Divorce Real Estate. Randy is trained in the legal and tax aspects of the divorce process as it relates to real estate. He specializes in research of obscure divorce-related legal rulings and regulations, and their implications for divorce and taxes. Like what you heard? Subscribe to Ron & Robert On Divorce on iTunes. Certified Divorce Financial Analyst (CDFA) Irene Smith speaks with Ron and Robert regarding the financial matters all divorcing couples must know. A CFDA is a new designation for assisting couples in divorce. A CDFA is a member of the Institute for Divorce Financial Analysts who specialize in the financial issues surrounding divorce. The role of the CDFA includes acting as an advisor to one party’s divorce lawyer, or as a mediator for both parties. A CDFA uses his or her knowledge of tax law, asset distribution, and short- and long-term financial planning to achieve an equitable settlement. CDFAs are also helpful in reducing the costs of divorce. Subscribe for free and get weekly podcasts from Ron & Robert On Divorce. What Does Assembly Bill 939 Mean for You? 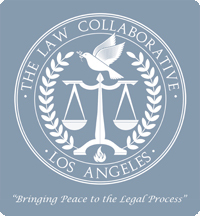 Family Law touches the innermost aspects of a Californian’s life. It determines how often a parent will see his or her child, how much support they will receive, how they’ll be protected from domestic violence, and more. Last month the governor signed Assembly Bill 939 and as a result, we’re looking at profound changes to the legislature after the first of the year. These changes will significantly impact members of the family law bar, the bench, and the public. Listen now as Ron and Robert talk about what this important bill means for you. This page took 0.501 seconds of computer labor to produce.